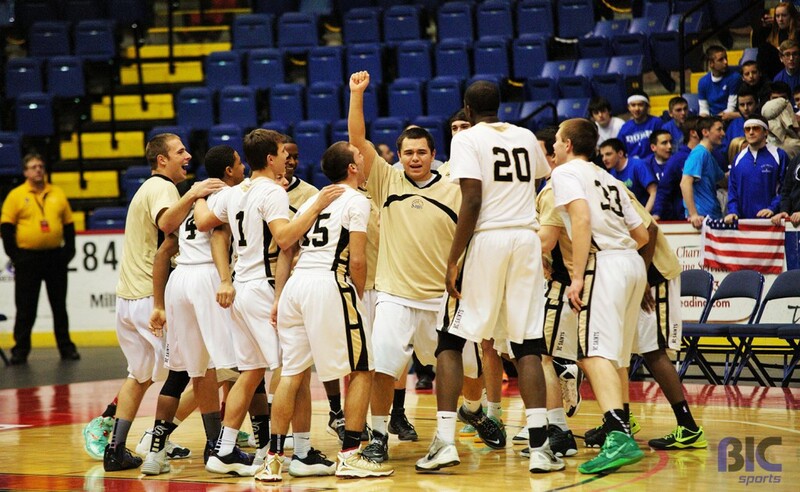 Marc Rivera and the Berks Catholic team get fired up for Wednesday’s game. Wednesday night, Berks Catholic and Exeter squared off at Santander Arena in downtown Reading, Pennsylvania. Pietro Gaspari takes a foul shot during Wednesday nights game. Lead by Issac Lutz’s three consecutive 3-pointers, the Saints showed an early lead in the first quarter. A defining 3-pointer from Berk’s Catholic’s Connor Jack sent Exeter into a late timeout during the first. At the end of one, the Saints held a 18-11 lead over the Eagles. 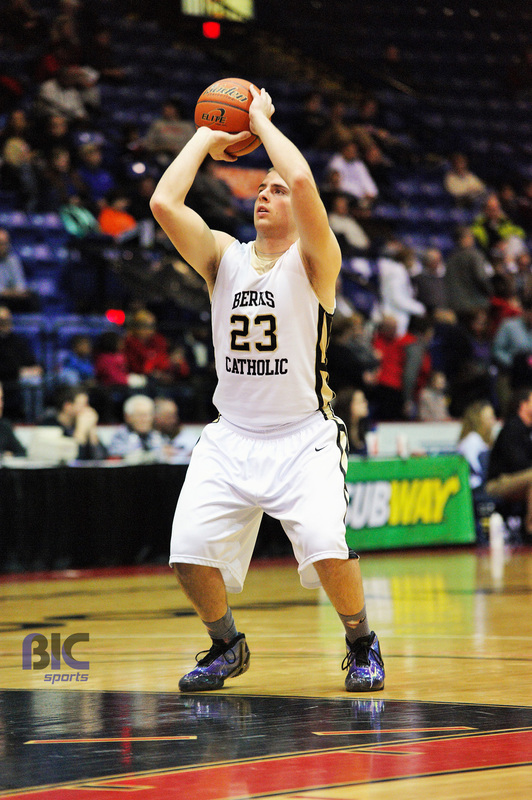 Cooper Kutz’s 11 point second quarter propelled the Saints into a dominating lead at the end of two. Nana Foulland connected underneath for an 8 point first half. 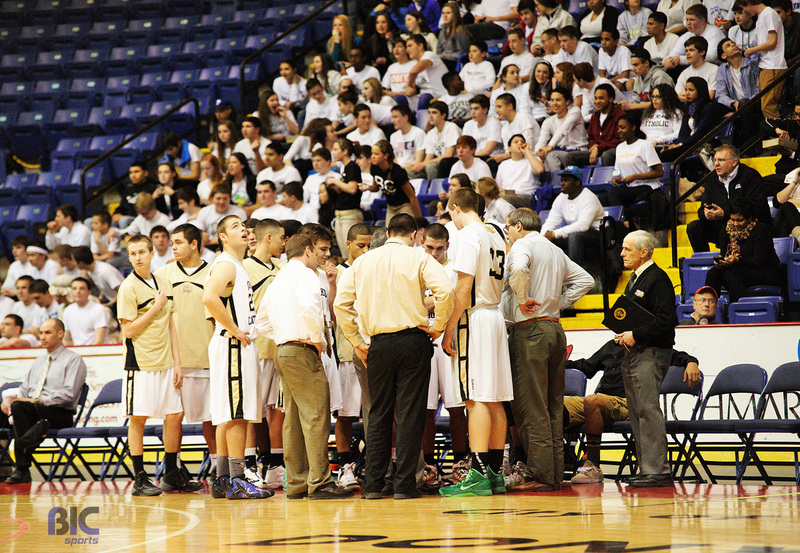 At the end of two, Berks Catholic bested Exeter with a 35-19 lead. 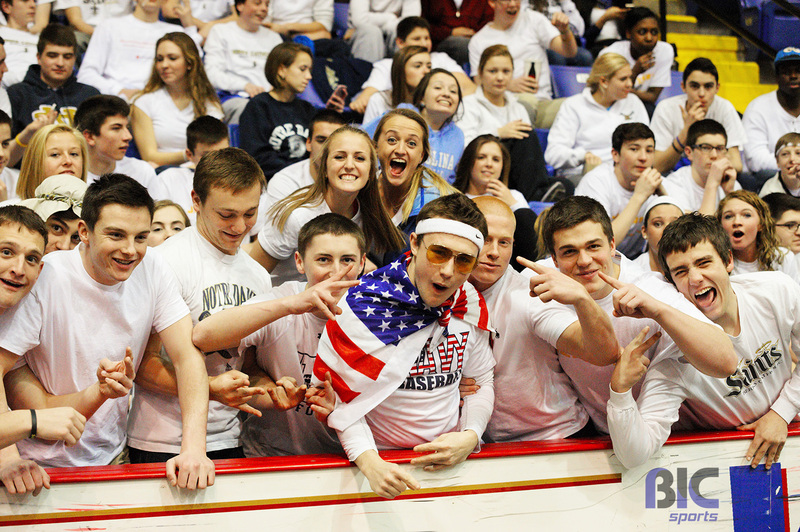 Exeter couldn’t seem to rebound after Berks Catholic’s first half lead. The Saints held the Eagles to just 8 points in the third quarter and continued their run with a 48-27 lead. Exeter’s 19 point fourth quarter, their best, came too late. The Berks Catholic Saints overtook the Exeter Eagles with a BCIAA semifinals win, 67-44. 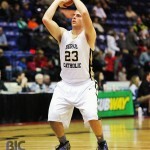 Lutz and Kutz led Berks Catholic with 33 combined points. The Saints face No. 1 Wilson on Friday during the Berks League Championship.